Here it is! 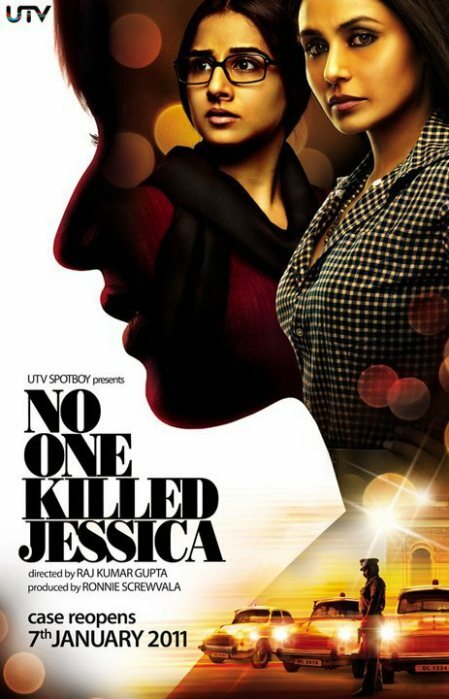 The first trailer of No On Killed Jessica is out. Written and directed by RajKumar Gupta, the film stars Rani Mukherjee and Vidya Balan. The film stars Vidya Balan & Rani Mukherjee, has music by Amit Trivedi and has been produced by UTV. Story ? Well, the title says it all. Will put out the official synopsis soon.